A Day in the Life of Bev! Her Story, Part 5! 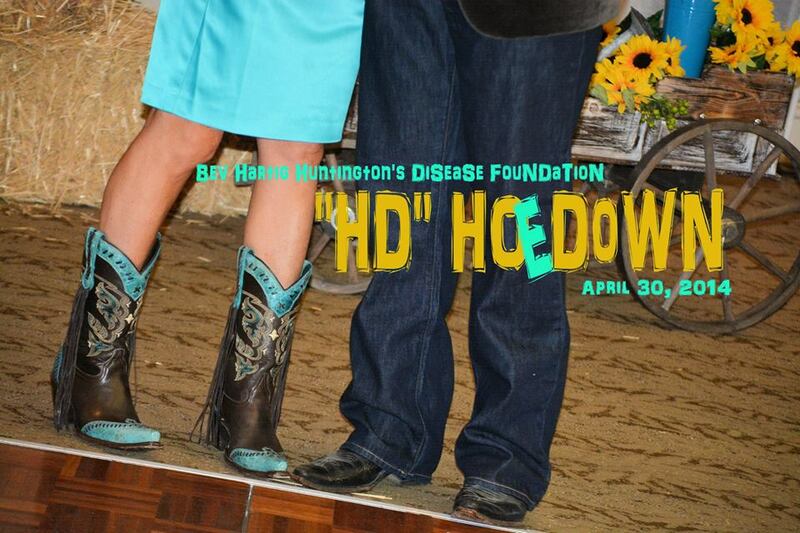 The fifth annual Bev Hartig Huntington’s Disease Foundation fundraising event on April 26, 2014 was another success! There were over 165 people in attendance and the funds donated are well over $100,000, with a final official number still in count. As I got to speak to Bev on this year’s event roughly one week later, this is her feedback on how it all went and some fun-to-know behind-the-scenes info that is very interesting! Thanks Bev for the interview! What was your feedback on this year’s event? Bev: This was the best one yet! 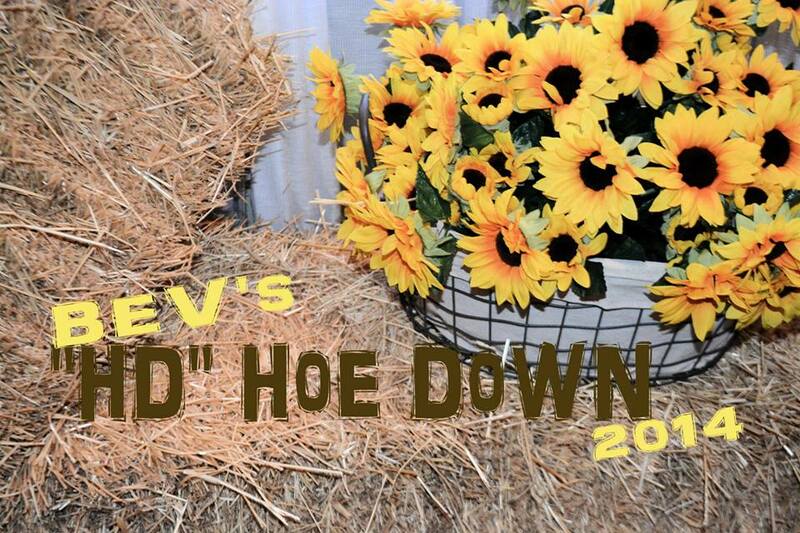 It was a fabulous theme and most everyone dressed up in country, hoe down gear. What stood out most to you about the event? Bev: I loved seeing all the people from all seasons of my life. This year four college friends were able to attend and this was their first year that they could attend all together. They came in from Texas, Minnesota, Chicago and Southern Illinois. It really meant a lot to me that this group of gals had made an effort to support me together this year. What did not go as planned or what was different than you expected? 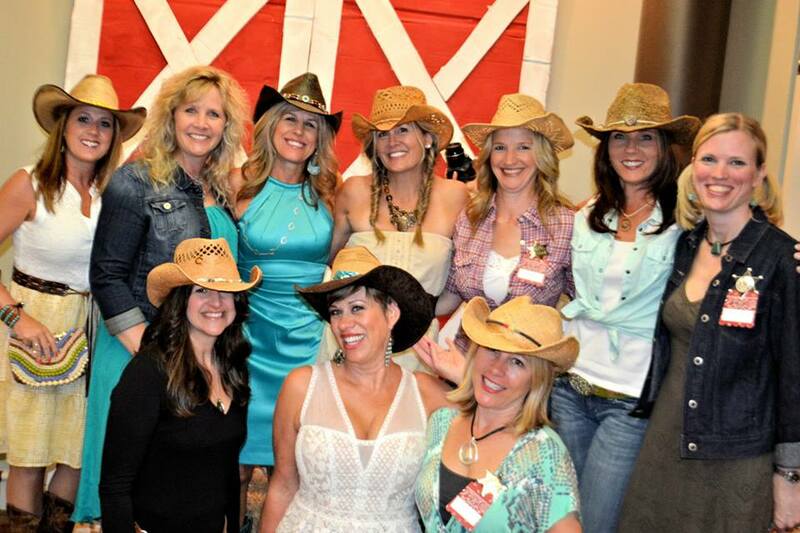 Bev: I loved seeing all the people dancing, but the country line dancing looked really hard. Maybe we needed more entry-level instruction. It seemed hard to follow, but looked like people were enjoying it! What’s one thing we don’t know about the night? Bev: I did not eat the food! It looked great, it’s just that I was so busy talking and greeting people, like at my wedding, I just did not have time to eat! I hope it tasted great! Tell us about what you do the day of the event to prepare for the night. What is the scoop? Bev: I shopped earlier in the year for a few dresses and even traveled to Chicago with a friend to buy a dress. I ended up wearing a turquoise one that I found here in town at Von Mar and just loved it! I got my first-ever spray tan and that was quite an experience in itself! I do my own make up, but I did go to my hair stylist to have my hair curled. I also went the day before to get my nails done. My team was there setting up all day and I arrived around 6:20PM ready for the night! I stayed until 1PM and by the time I got home, I was wiped out. This was such an amazing night, but does take a lot of my energy. 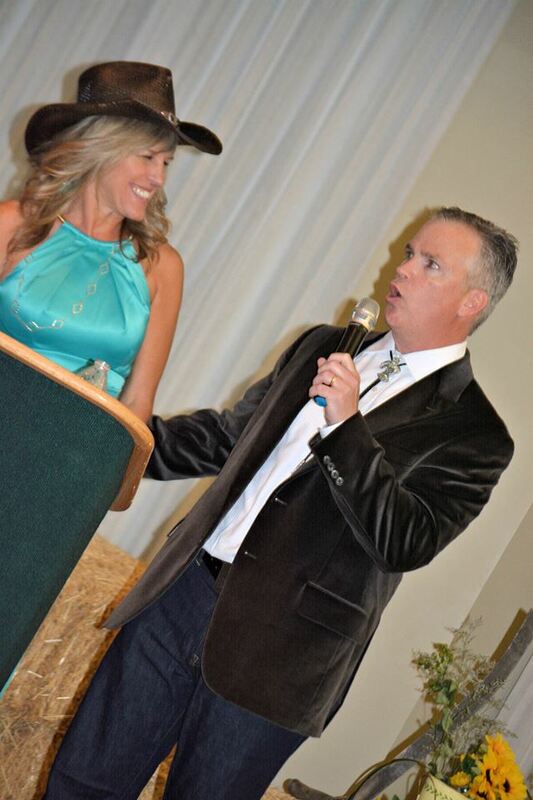 You spoke on the mic in the middle of the event. Did you have a plan for that and were you nervous? Bev: I was very nervous about speaking, but I knew it was something I wanted to do. I made sure to have a poem prepared to end my talk and I wanted to call my committee up and thank them for their efforts. I want to speak at the events for as long as I can to share where I am in my journey and thank my guests for coming. What are a few staple items and events that you think we should keep each year? Bev: That photo booth was just WAY too much fun! People loved that and I want that to stay. We also need to find another awesome theme like we did this year. I really enjoyed seeing the guests get into the theme and dress up. That was very special to me and really made the night. Overall, the entire evening brings me joy. Seeing people from all parts of my life come together to support this cause is so fulfilling. I feel so very loved! So the event is over. The guests go home. What happens next? Bev: The next morning at around 8:30AM, we have family that is in from out of town come to our home for a traditional gathering where we serve egg kiche, coffee and breakfast goodies and just enjoy the moment. The kids are here and it’s a highlight for them to spend time with both sides of the family and anyone who has come in from out of town. It is so enjoyable and our guests stay until about 1PM…and then we crash! Afternoon naps are certainly in order! As far as the event planning, what is the next step? Bev: We gather with my team as a group and I write thank you notes to each of them and offer a gift as a token of my appreciation for their time and efforts invested. Each one has a role and brings their gifts and talents to my cause in such unique ways. I’m so grateful and blessed to have this team! We’ll meet again soon to start planning for next year’s event and we continue to manage the incoming donations and paperwork that goes along with it all. Tell us one thing we don’t know about the weekend. Bev: Bob’s sister was in town and all of our guest beds were full, so she slept in my bed with me and Bob needed somewhere to sleep. The only bed left was the top bunk in Ryan’s room! Bob is a trooper and crawled up there for a good night’s sleep….except he reports that mattress is not the best in town! Thanks Bob for taking one for the team! Thank you Bev for the interview on this year’s event. We know this cause is part of your story and all of us that have attended, helped, donated and invested time are so honored to be a part of this. It strikes me most that the efforts and funds raised now are truly going to impact generations to come. No effort is too small and goes without notice. We may never personally see the results, but the cumulative effect will make a tremendous impact on the lives of others someday, exactly the why that Bev intended this Foundation to be. Go Team Bev! View all of the photographer’s pictures from the event on her Facebook page HERE! 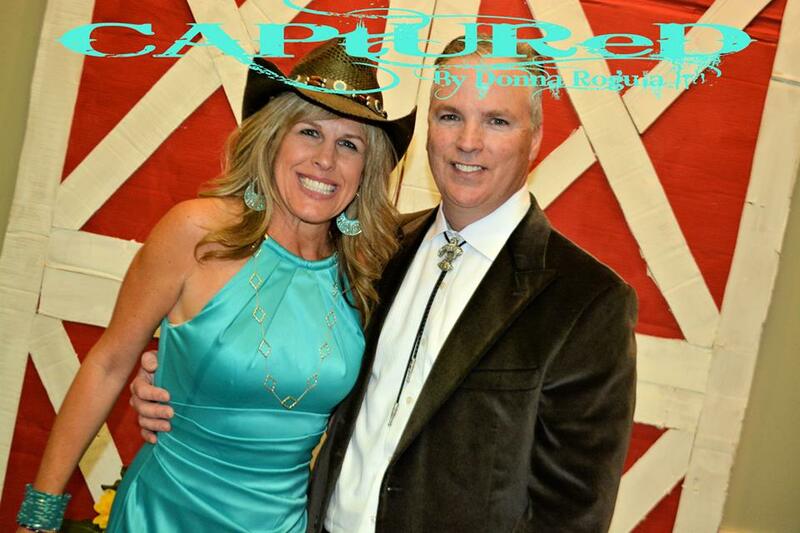 Thank you Photographer Donna Rogula!